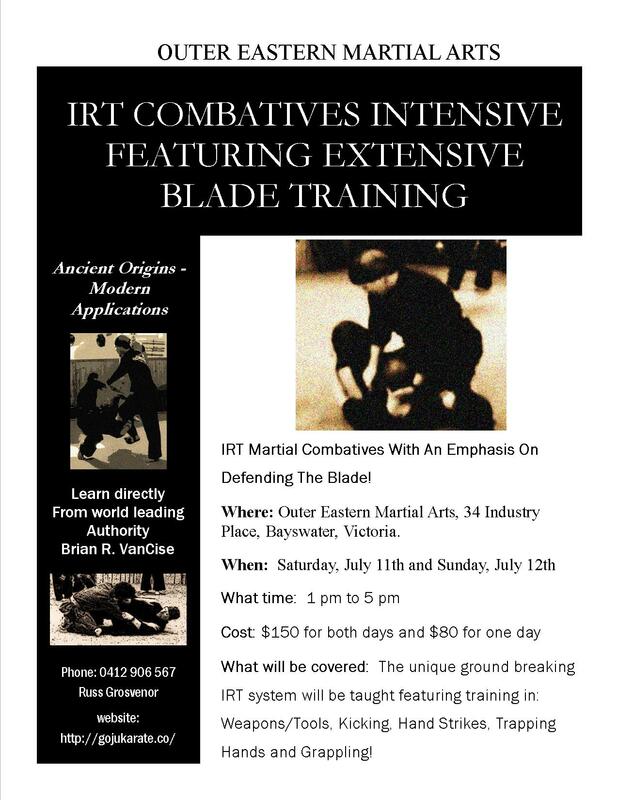 One Month To Our IRT Melbourne, Australia Intensive At Outer Eastern Martial Arts On July 11th & 12th! 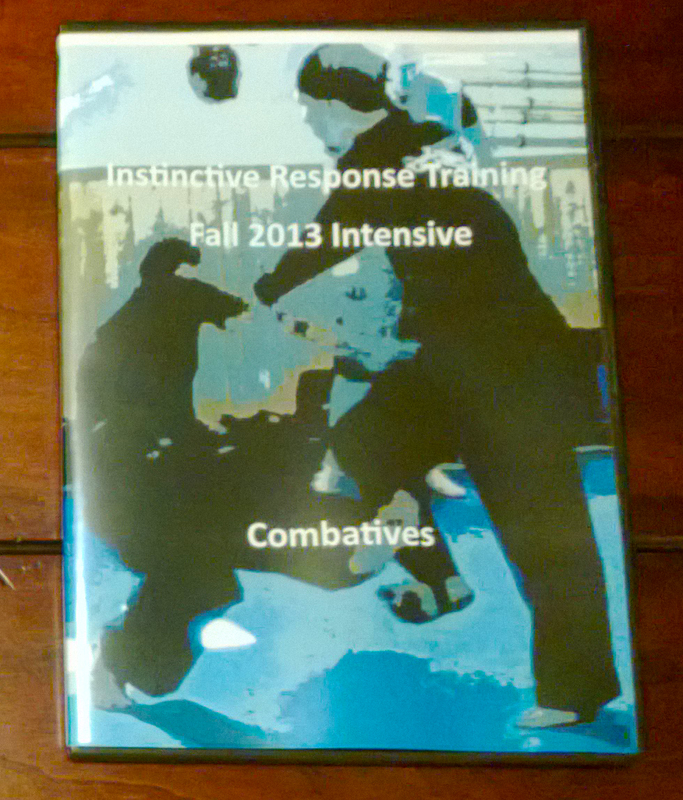 Well this Combatives Intensive is one month out and is looking to really be an enjoyable time! If you are looking for some serious Combatives training in Melbourne, Australia then look no further than our Intensive on July 11th and 12th at the Outer Eastern Martial Arts Dojo. 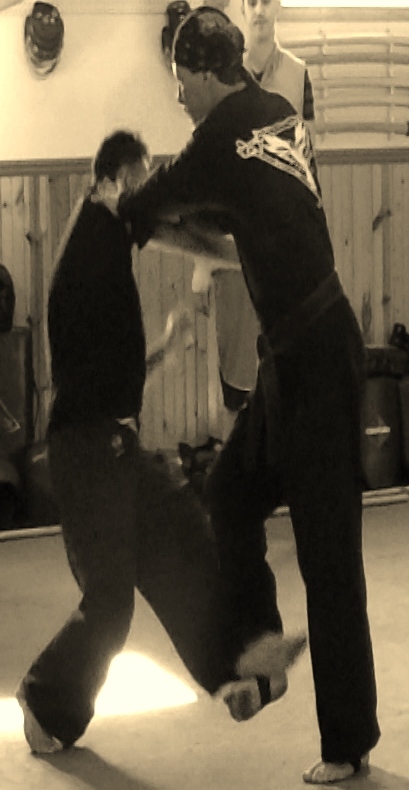 Training will cover: Weapons/Tools, Kicking, Hand Strikes, Trapping and Grappling with an emphasis on defending the Blade! Come Join Us In Beautiful Melbourne, Australia! This entry was posted in martial arts, personal protection, self defense and tagged Australia, Blade Defense, Brian R. VanCise, Combatives Intensive, Instinctive Response Training, Melbourne, Outer Eastern Martial Arts, Personal Protection, South East Asian Martial Arts. Bookmark the permalink.